Celery is a vegetable where the entire plant is edible: root, stalks and leaves. Celery is the ultimate fall and winter vegetable. Here are the tips on how to grow it. There are 2 major celery families: stalk celery, where the ribs are eaten, and celery root, also called celeriac, where only the root is eaten. Stalk celery can itself be divided into two sub-families, green stalk celery and golden stalk celery. 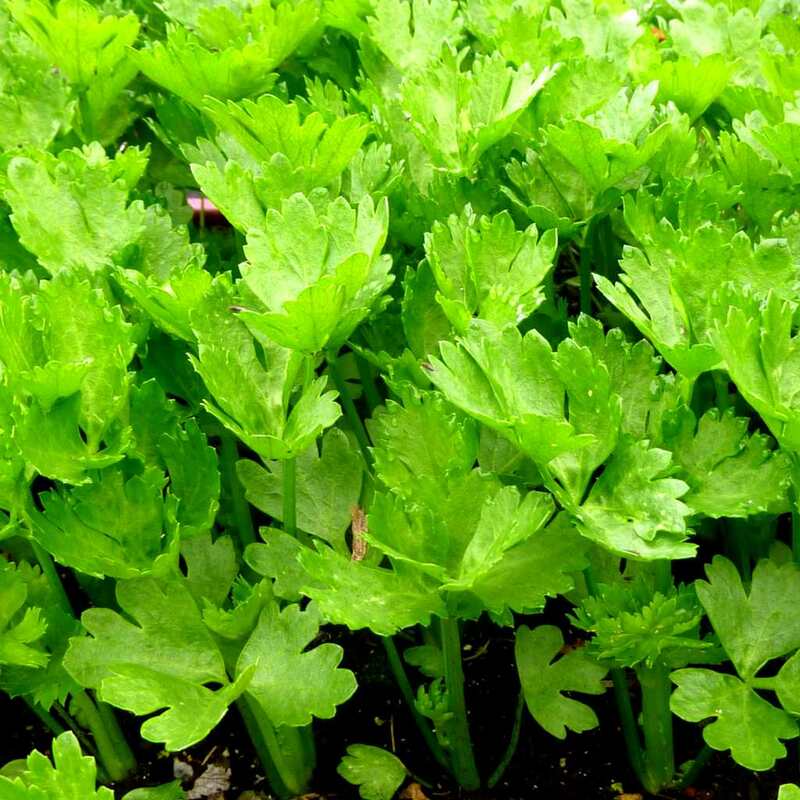 Planting celery from purchased seedlings is the easiest and most efficient manner of growing celery. 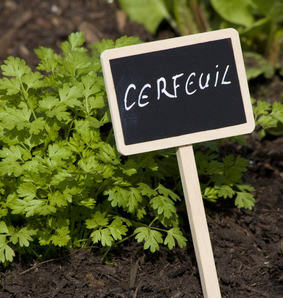 Celery seedlings are planted directly in the ground from mid-April to beginning of June, depending on the climate (wait for the end of the stronger frost spells). Amend the soil or mix compost into your soil when planting. Choose a rather sunny location. Space your stalk celery seedlings 12 inches (30 cm) apart along a row, with each row 14 inches (35 cm) from the next. For celeriac or celery root, space seedlings 16 inches (40 cm) apart along a row, and space rows 16 inches (40 cm) from each other. 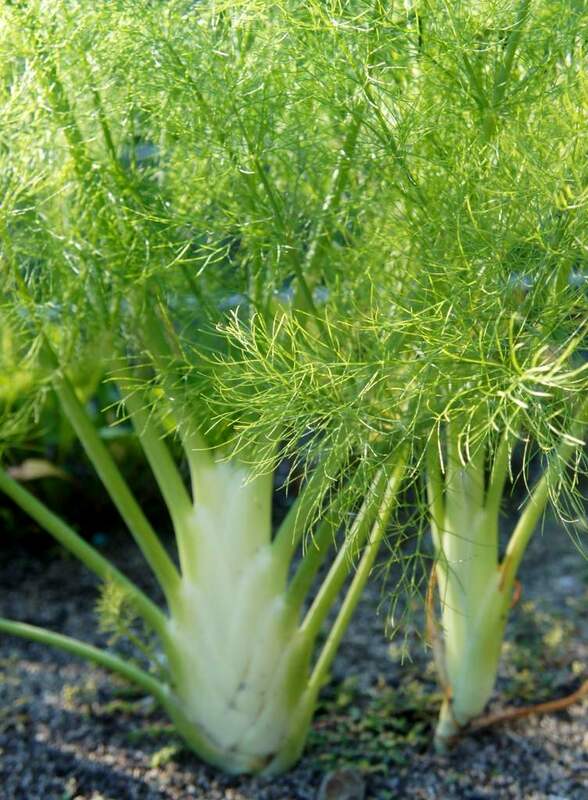 Both stalk and root celery seedlings are prepared the same way. Note that stalk celery and celeriac are cousins, but don’t come from the same plant. In spring, sow in a greenhouse or cold frame and transplant directly to the ground 2 months later. Transplanting them from the sprouting bed to a nursery pot in the meantime will help the plant develop more before planting. For these ribbed celery plants, it is important to tie the leaves together, to blanch them. Sowing must be done in very light soil, with sand and only thinly covered. Celery requires rich soil that must be amended beforehand. Transplant as soon as your celery has grown 2 or 3 leaves. Sowing can start a bit earlier, as soon as February in mild climates. Just as for stalk celery, proceed to prepare seedlings. But when you are transplanting them into the final growing bed, snip off the tip of the main root. 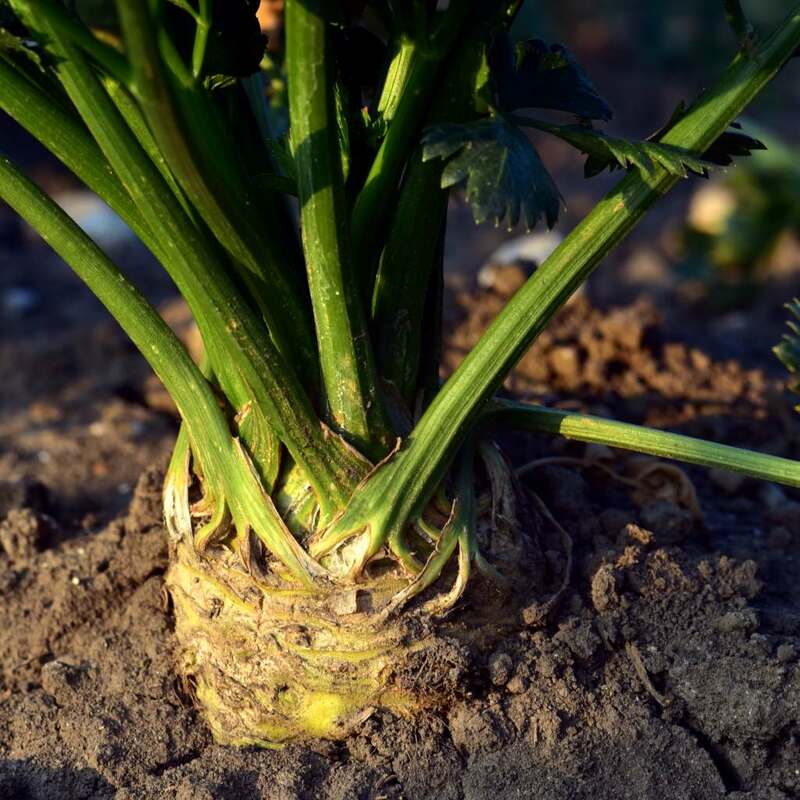 Avoid planting celery in the same spot for the following 4 years, so that the soil may recover. Growing celery from seed to harvest requires little care and the plant can be used in a great many culinary combinations. Celery is very demanding on the soil’s organic nutrients. It will help a lot if you enrich the soil with vegetable fertilizer during the growing season, and add soil conditioner or compost before planting. Run the hoe along the ground regularly and water in case of high temperatures and prolonged dry spells in summer. Water regularly, especially in hot weather, because water needs are high. If celery lacks water, it will be prone to bolting and going to seed. Harvest takes place more or less 6 to 7 months after sowing. It usually happens in August and October-November. Before harvesting, you must blanch your celery. Ridge the soil up around your celery stalks to force the leaves together. Pile dirt up to ¾ the height of the leaves. It is also possible to run a piece of opaque plastic around your celery to block out the light. As for pulling the plants out, cut the leaves as low as possible at the end of summer. You can dry these leaves and use them as an herb or spice. 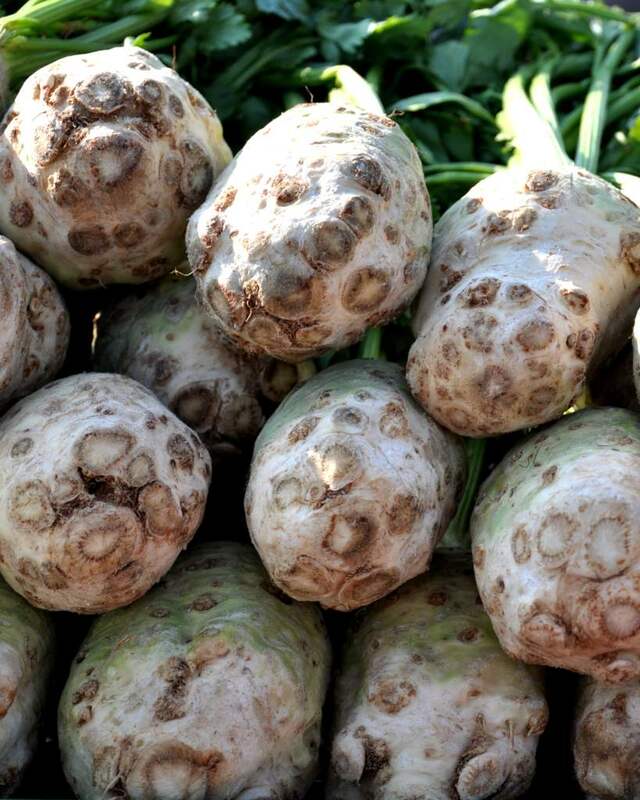 You may pull out celery root in fall, and keep them for several weeks in a cool spot, or leave them in the ground and pull them out over winter as needs arise. It is best to pull them out before the first frost spells. 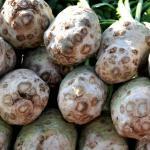 This is a vegetable that boasts many health benefits for the body, tested and tried for generations. In the days of Greek and Roman empires, celery was used for its medicinal properties, namely to treat urinary tract infections. Though cousins today, stalk celery and celery root share a common ancestor that grew in marshes before being domesticated. With high vitamin A, B and C content, celery is an herb that is also great to treat rheumatism. Indeed, celery has purgative, diuretic, digestive and stimulating properties that induce good health. It is also recognized to have carminative and stomachic properties, that is, it enhances intestinal transit and supports stomach functions. 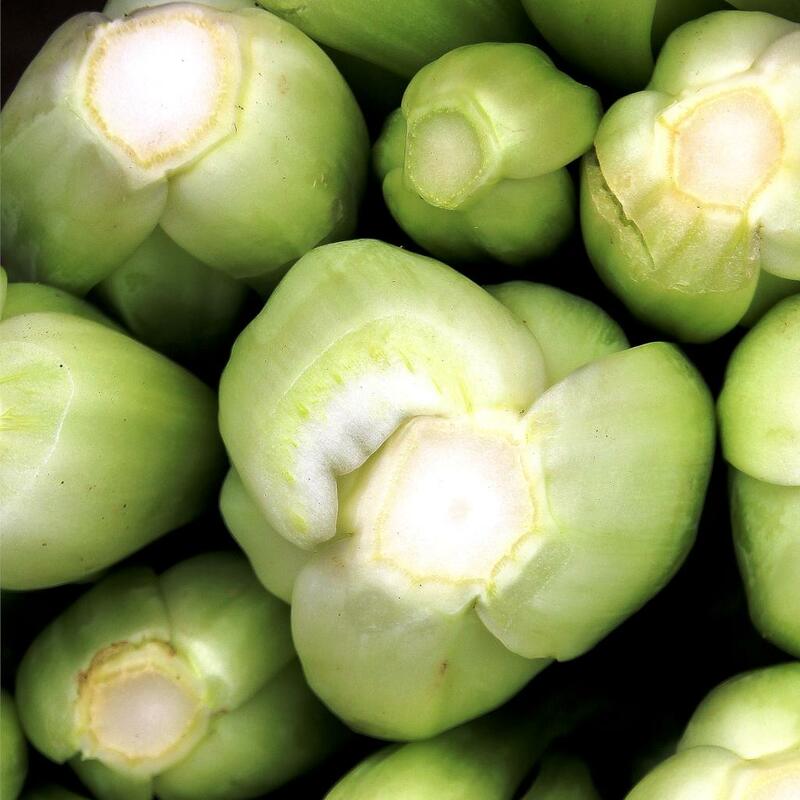 Even though originally its taste didn’t make it a favorite in the kitchen, over the centuries it was bred to become a delicious vegetable savored in the kitchen. Today, on top of its culinary appeal, it is very much appreciated for its many health benefits. Just like leek, celery is a diuretic and eases digestion. It will also provide you with a lot of vitamin C! Hello John! It’s a good thing you’re growing celery! While visiting farms is something that is done on occasion, Africa is a bit too far for reaching out in person for the moment. But thanks for the invitation!